Year of the Pig / Boar! (In Japan, We generally use only wild boar as pig, actually I didn’t know that pig Year! very interesting!) 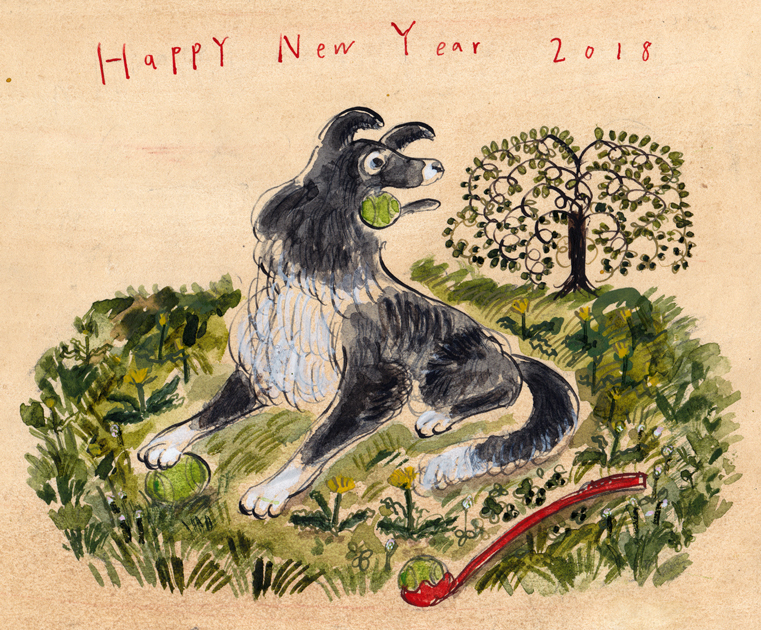 This painting is my new year greeting art. Wild boar inspirations from Celtic legends, especially The King Arthur! Celtic mood. The following wind with wild boar…Go! 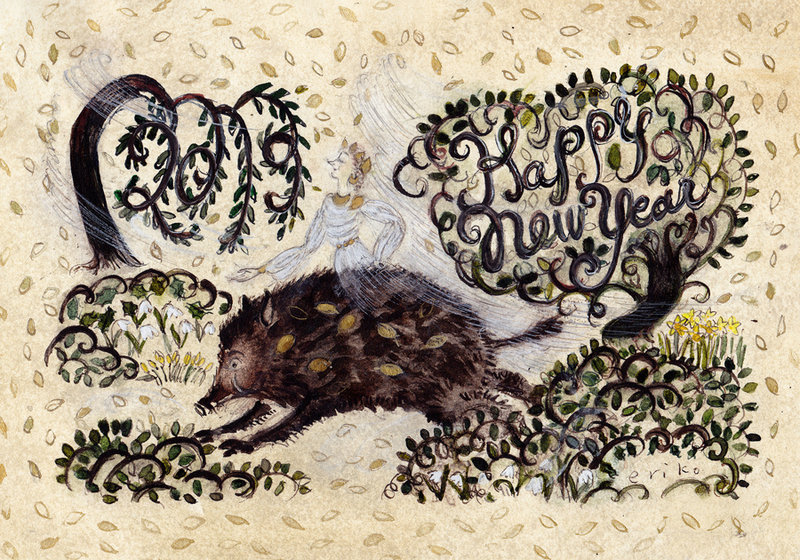 The boar (pig) Year! Kotoshi mo yoroshiku onegai shimasu. 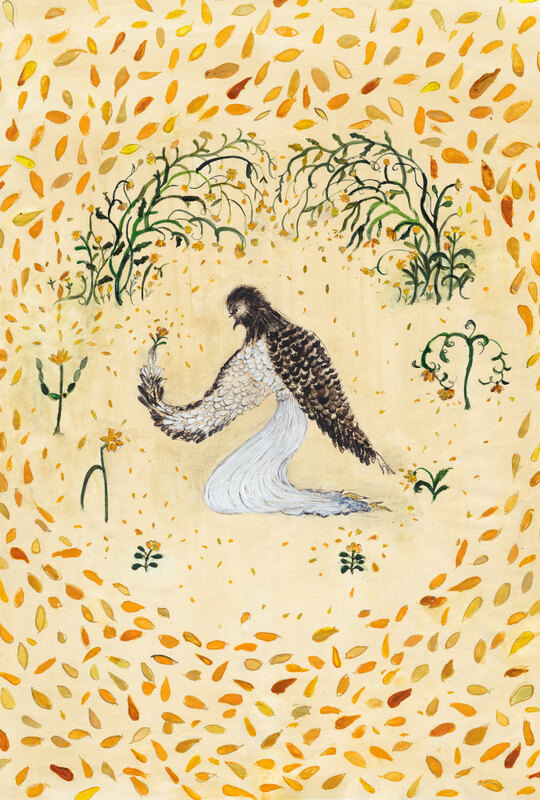 added all works of my solo exhibition “Vibrant Yellow Bloom / Homage to ‘ode’ ” to Portfolio. My apologies for that I have not said thank you about my exhibition to all on my website yet. 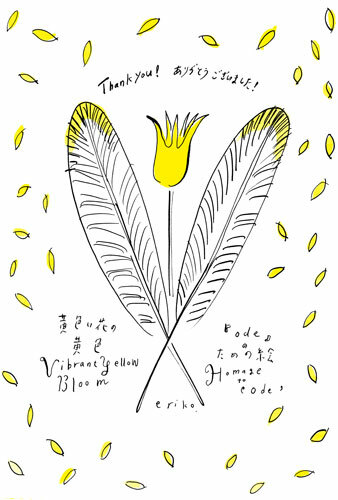 Too long,,, but I would like to thank you again who come out to see / wanted to see my solo exhibition”Vibrant Yellow Bloom / Homage to ‘ode’ ” in this spring , and Thank you for helping me/ cheering me up! Thank you so much. It was my treasure time, now absolutely my treasure. so then I added all exhibition works to Portfolio. I hope you will enjoy! now, I’m try to catch lots of new! imaginations which is floating around. I hope I will show you new works sometime if I have the opportunity! I am delighted to announce my solo exhibition will be held at HB Gallery. Date: Friday 30th March – Wednesday 4th April 2018. ‘ode’ by sione (via Virgin Babylon Records) will be available at my Exhibition.